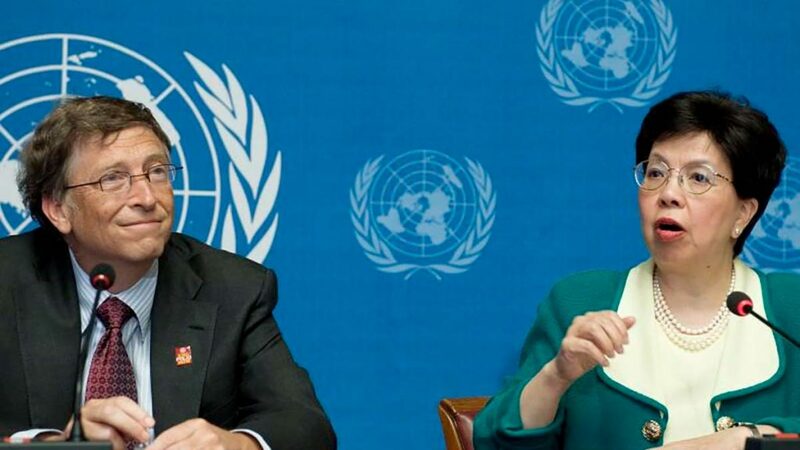 HEERLEN, Netherlands, June 16, 2016 — On June 9 the non-profit Dr. Rath Foundation published an advertorial in The London Times, providing staggering proof that the blueprint for the ‘Brussels EU’ came directly from the drawing boards of Nazi Germany. This revelation reverberated widely with international media carrying the news around the world. Within days, major British newspapers were openly calling for their readers to vote for leaving the ‘Brussels EU’ in Britain’s upcoming national referendum on June 23. Contrary to its own portrayal of itself, the ‘Brussels EU’ construct is far from being a democracy. The EU Parliament, the only democratically elected body at European level, is not even allowed to initiate new legislation – an essential hallmark for any democracy. This lack of democracy is not an accident. It is the result of a deliberate design by Walter Hallstein, first president of the ‘Brussels EU’, who, with the help of thousands of technocrats, created the basic architecture of the construct between 1958 and 1967. After leaving office, Hallstein even dared to celebrate his accomplishment: “The [EU] Commission is entrusted with what virtually amounts to a monopoly in all matters affecting the [European] Community.” (Hallstein, Walter. Europe in the Making. London: Allen and Unwin, 1972). 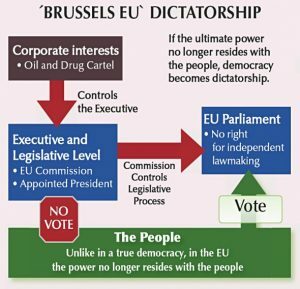 On June 9, 2016, a disbelieving public in Britain and around the world learned in the ‘London Times’ who Hallstein, the chief designer of the ‘Brussels EU’, really was: the very same man who had been one of Hitler’s key architects for a post-WWII Europe under German political and corporate control. Hallstein’s now infamous ‘Conquest Speech’, given in Rostock, Germany, a mere seven months before the launch of WWII, is documented on the Reject the EU website. It is now clearly evident to the people of Britain and the world that the ‘Brussels EU’ is nothing less than the attempt to establish a ‘Fourth Reich’ – the securing of German political and economic dominance over Europe – behind the deceptive cloak of a so-called ‘European Union’. In September 1914 German Chancellor Bethmann-Hollweg proclaimed, as an official goal of WWI, the creation of a “Central European Economic Union” with the aim of enforcing the economic hegemony of Germany over Central Europe. (Fischer, Fritz. Germany’s Aims in the First World War (PDF, 106 MB). New York: W.W. Norton & Company, 1961). 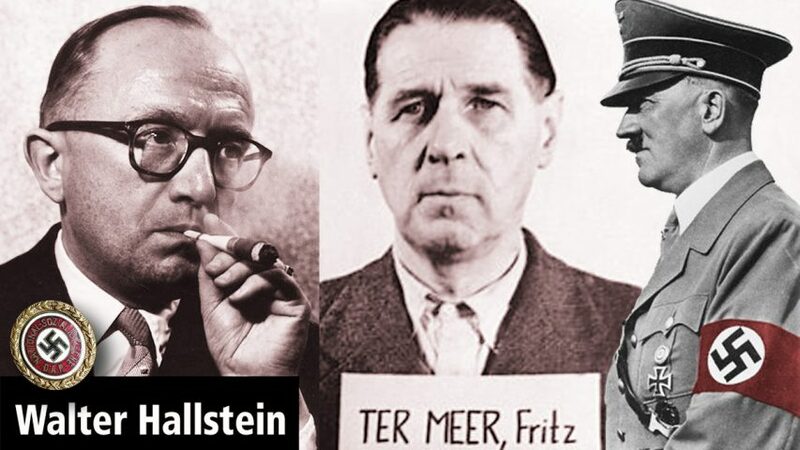 In 1947, during the Nuremberg War Crimes Tribunal against the German Chemical Cartel IG Farben, the legal counsel of BAYER director Fritz Ter Meer stated that the concept of a “Total European Economic Area” had “shaped” his client’s war aims. Found guilty of war crimes and crimes against humanity including mass murder, plunder, spoliation and slavery, Ter Meer was condemned to prison in 1948.